Last week Fox arranged a video conference with Salman Khan and Sonam Kapoor in London for the release of Prem Ratan Dhan Payo. Here are some excerpts of the Q&A session with the UK press. Q/ WHAT DO YOU LOVE MOST ABOUT PRDP? Salman: I like the film’s nice, sweet, cute, ticklish moments. I like the film overall and how this really nice, happy, sweet film turns into this really emotional, beautiful, romantic love story which involves the family, brothers, sisters. I think PRDP is Sooraj’s best work to date. What I see in the character of Prem is what every guy should be like with a girl, which is very difficult as you need to have a lot of patience to be “Prem” in real life. Prem is so endearing that every girl would want to marry someone like Prem. He’s somebody like … he’s actually Sooraj Barjatya! Trust me, Prem is Sooraj. In fact Sooraj likes to see that side in me but the problem is that I only don’t see that side in me in my real life. So Sooraj puts that on film. Q/ YOU HAVE WORKED WITH SOORAJ B. THREE TIMES BEFORE – HOW WAS THE EXPERIENCE WORKING WITH HIM THIS TIME? Salman: Yes, it is. I just wish I could do another 4 or 5 films with Sooraj! I’m here in this industry only because of Sooraj Barjatya. A 19 year-old boy took a stand when he was directing his first movie, at a point in time when Rajshri Productions weren’t doing that well, to take on an actor who had already done a film that’s releasing before his film. Sooraj had seen Biwi Ho To Aisi, and we all knew that I sucked in the movie, but despite that he took me on because he thought I was good in the screen test for the film. He went by his instincts and the gut feel of his sister Chanda and cousin Charu. Sonam: you see Salman was always gorgeous looking…it’s because they had a crush on him! Salman: well, they thought they saw something in me to suggest I would make it. I still don’t see what, how… I don’t even question it…let it go! Q/ THE MUSIC IS ABSOLUTELY AMAZING. WHAT ARE YOUR FAVORITE TRACKS FROM THE MOVIE? Sonam: Jalte Diye and Prem Leela are my favourite songs from the movie. I also like Aaj Unse Milna Hai as well – it’s a very beautiful, romantic song. Q/ ANY FUNNY STORIES FROM THE FILMING? Salman: We were working! It wasn’t supposed to be fun. You cannot make such a beautiful film whilst having fun; you need to be focused. Sonam: It was a happy time – I think that’s the best way to describe it, we were very happy and content. Q/ WHAT WAS YOUR MOST MEMORABLE MOMENT FILMING? WHAT’S THE BEST SCENE? Salman: I think every single day was beautiful. Actually walking to the set was a really beautiful feeling. The set were so lovely that we didn’t mind shooting long hours. Sooraj actually is very particular about shooting long hours – he doesn’t like to shoot that many hours, even if the scene was not complete he used to say, let’s leave it now and we’ll continue tomorrow, even if we were like no let’s do it now. You see, it’s a very large-scale film; in every frame there were like hundreds of people, there was a regal theme, which also made it a very expensive film. Each day costs the production 45, 50 lakhs so when Sooraj said let’s pack up and continue the scene tomorrow, it seriously took a lot of courage. Q/ YOU HAVE ALWAYS HAD A VISION FOR THE TYPE OF ROLES YOU WANT TO PLAY. IS PREM RATAN DHAN PAYO THE BIGGEST PAYOFF OF THAT SORT OF CONVICTION? Sonam: Yes, I think that’s what it is. I think you are absolutely right. After I did Mausam, I gave my heart and soul to that and after it didn’t do very well, I didn’t sign a movie for a year and a half. Then I decided to sign Raanjhanaa – everyone around me said I was stupid but I decided to stick to my conviction. But I stuck to my guns. You’re absolutely right that this is the payoff for being patient and handling my life with dignity. Q/ WHAT YOU ARE DOING ON YOUR INSTAGRAM PAGE IS A GREAT WAY OF MARKETING PREM RATAN DHAN PAYO. WAS THAT YOUR IDEA OR WAS IT SOMETHING YOU DISCUSSED WITH THE MARKETING TEAM? 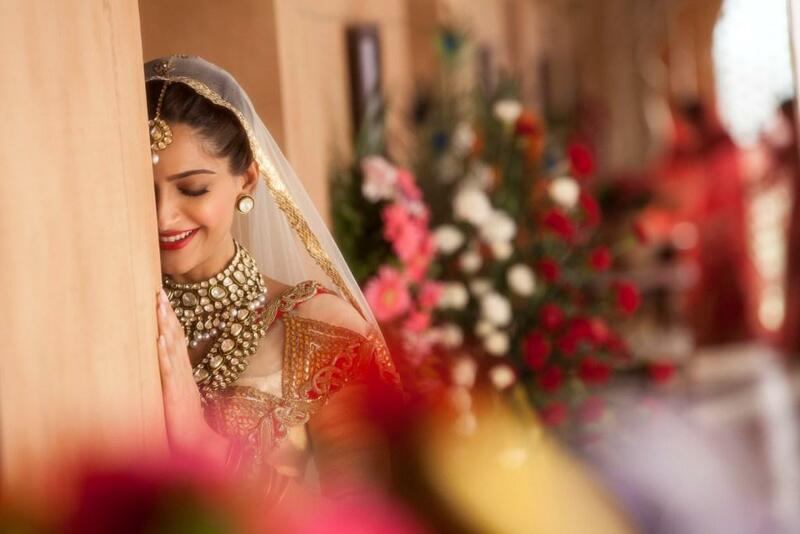 Sonam: Okay, I’m going to tell you a secret, when I spoke with the marketing team at Fox, they mentioned that people were finding the title Prem Ratan Dhan Payo a bit of a mouthful. They told me we needed to come up with a really fun and genius way to talk about the film a lot. So, there was this really cute guy who did this dubsmash on Prem Ratan Dhan Payo and I thought let’s put this up on instagram and maybe people would be excited about doing dubsmash. I thought it would be cool so I put it up and people really liked it a lot. And then a friend from New York told me to call a competition and to get the 5 best dubsmashes on Instagram – I did just that. There were lots and lots of people who did the dubsmash. It was easy to do and people loved doing the dubsmash as it has a great rhythm. Salman did one too, but he didn’t do it for long. My aunt Sridevi also did one with Shilpa Shetty. She loves me so much! I remember when I was just becoming an actress, she sat down with me and showed me how to do make-up really patiently for like hours and hours really patiently. I think she was extremely kind to have promoted me and the film. I’ve known Shilpa for a very long time and they had done the dubsmash at my home whilst I was away on promotions for the film. Once they did it they put it up on Instagram and I got a message from Shilpa saying to go on Instagram to see what we’ve done! Q/ HOW DIFFERENT IS THIS PREM COMPARED TO ALL THE OTHER PREMs THAT YOU HAVE PLAYED? Salman: Prem is my favorite character too. I think this Prem is lovelier; he’s a grown man but a very childlike. Sooraj has written this character. He has always been a mature man and romance has also grown in his life ten folds. He was always a mature filmmaker starting his career at the age of 19. He wrote Hum Apke Hain Kaun at the age of just 22 and made the film when he was 24, and there is no man as mature as Sooraj Bharjatya. The way he has written this character, he basically wants men and boys to be like Prem; he wants to change the way they are and to change this for women in the world. He wants men to be funny and charming but to also be respectful to women. Q.YOU HAVE A GREAT SENSE OF STYLE. HOW SIMILAR ARE YOU FROM YOUR CHARACTERS IN REAL LIFE. Sonam: I don’t think I’m similar to any of the characters that I played, I mean I’m definitely not a princess. Salman: Yes she is a princess because her father spoilt her. Sonam: I’m not spoilt! (she laughs). No, answering your question…I don’t know, I hope I’m inspired to be someone with that much conviction and I try and do whenever I can to be like that. Perhaps there’s a little bit of me in every character. Salman: I think she’s got it in Prem Ratan Dhan Paya … I remember when Sooraj was showing me pictures of a lot of leading actresses and each and every picture that Sooraj showed me of Sonam were absolutely stunning. He showed me all the picture when she was at her worst test, and she looked like the way she looks now, so that is one quality that he saw in her, and he said this is the lady for my film. This is something that I want. Q/ SONAM, HOW DID YOU FEEL WHEN YOU FIND OUT YOU WERE GOING TO WORK WITH SALMAN? WHAT IS IT YOU MOST LIKE ABOUT EACH OTHER PROFESSIONALLY AND EACH OTHER’S PERSONALITY? Sonam: I was very nervous, like really nervous. It’s not easy working with someone who you’ve been a huge fan of. Also it’s not easy because before Salman, I had never worked with a big star like him before. It’s usually been contemporaries. I was nervous but he really made me feel comfortable. The best thing about him professionally is that he is the most hardworking actor that I worked with, he pushes himself and he is extremely talented. He’s also very modest. Also, professionally it’s easier to work with someone who doesn’t judge you in anyway. I remember when I was messing up he’d come and tell me really nicely, he has a lot of patience. Q/ WE HEAR THAT YOU ARE PLAYING A DOUBLE ROLE IN THE FILM? Salman: Yes I am playing the roles of Vijay Singh and Prem – but if I open up too much about the characters I will spoil the suspense. But what I can say is that both the characters are phenomenal.